The multimedia interface has a total of 2 video, rear camera input, front camera input and RGBS connection to add satellite navigation if you do not already have the factory fitted option. The interface does not replace your original system; it offers perfect integration to maintain your OEM appearance. On screen menu system for setting up all features and functions. Switch between original display and video inputs by holding down the source button on steering wheel. Installation involves connecting the GVIF cable to the GPS unit and the back of the screen and an OEM harness is supplied for all other connections making the interface fully plug and play. No modifications needed to your existing system. 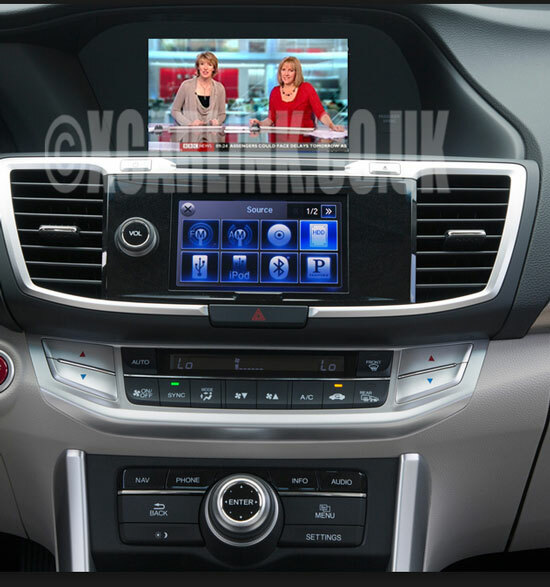 Compatible with new Honda Accord 2014 Onwards Infotainment system .